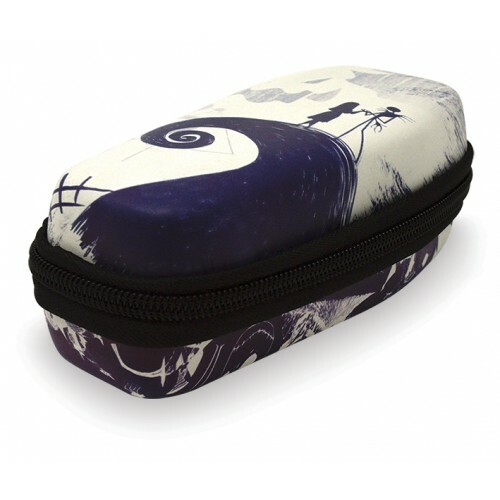 Confess your love for all things Halloween Town, just like the Pumpkin king did for his beloved Sally with this fab mini coffin pencil case from Tim Burton’s iconic animation, The Nightmare Before Christmas featuring Jack, Sally and Spiral Hill artwork. This stationery set is perfect for the Ultimate Nightmare Before Christmas fan. This pencil case is designed to look like a miniature coffin. Jack and Sally stand atop Spiral Hill on the front lid. While the back of the case features residents of Halloween Town. Open the zip to reveal two 3D Jack Skellington erasers, which are also pencil toppers! Use the mini notebook and pencil to keep track of your plans and ideas. A pencil sharpener is also enclosed in the case.